CopiEUS is your one stop shop for anything related to printing (except for 3D Printing, that would be The Cube). Located in the EUS Mall in McConnell Engineering, CopiEUS is one of four major Services offered by the EUS. CopiEUS has two black and white laser printers, one color laser printer, and two HP plotters for large-format printing. In addition, it offers coil binding services, coursepacks for McGill classes, blank notebooks, lamination, faxes, and employees who are able and willing to work with you to best determine how to meet your printing needs. 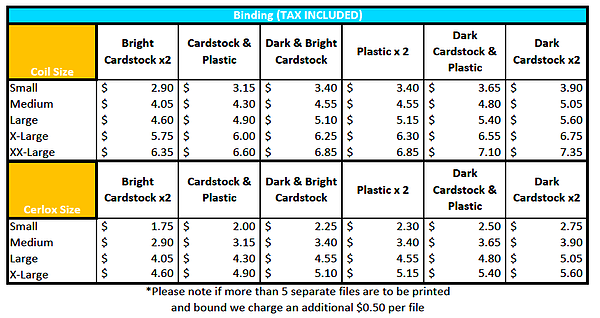 General pricing for printing, lamination, fax, and other services can be found in the chart below. Organizations within the EUS that have an account on the General Ledger are eligible for printing at a reduced cost. Additionally all payments can be directly removed from your account using the Internal Charge Book; no need to bring cash or credit if you're printing on behalf of an EUS group, you can skip the cheque-req process all together! Note: You must be authorized by your organization's relevant authority to do so, and will be asked by a CopiEUS employee to sign off on the print job for your group. If you have notes/electronic documents you would like to bind, or if you're looking to expand an existing notebook (made at CopiEUS) to contain more notes, that's entirely possible! 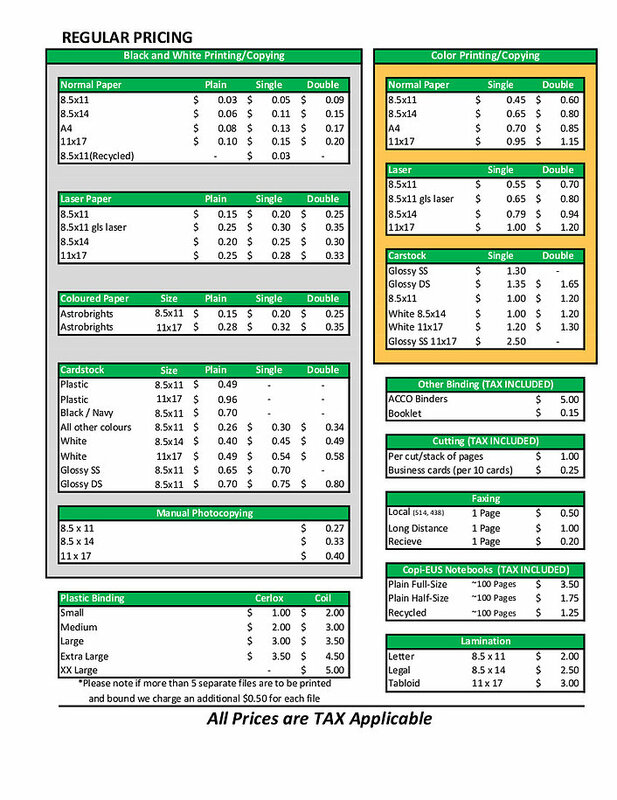 The pricing for such a service can be found in the pricing table. Note: Tax is already included! Poster refers to any size printing over tabloid (11"x17"), and can be printed in a variety of ways. There are four different materials available, all with different price points (prices above): Matte, Thick Matte, Glossy, and Canvas. The paper that is fed into the plotter is 36" (91cm) in width, which can roll out to any dimension. If one of the dimensions is less than or equal to 36", it can be printed; ideally equal to 36" to provide perfect printer-cut margins. In order to have a guaranteed slot for poster printing, you must sign up for an appointment on the CopiEUS website. One day turnaround is possible if you do not have an appointment scheduled, but not guaranteed, as individuals with booked appointments will be served first. During periods of high demand, such as the end of the semester, CopiEUS may open up after-hours poster slots to provide as many students as possible with the opportunity to print their posters. These after-hours sessions are done at the discretion of the current managers. In order to guarantee the best poster printing experience with CopiEUS, it is recommended that you arrive prepared, with a properly formatted file ready to print. Do not ask how to format your file when you arrive at your appointment, as often there are many people waiting to print posters later in the day, and having to delay their appointments in order to help you with file formatting is unfair. 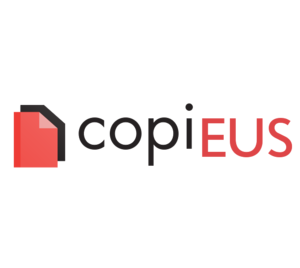 Please email CopiEUS ahead of time with any formatting questions, in order to have your appointment proceed smoothly. Some recommendations for your poster appointment are below, and payment is accepted when the poster is printed in full. Have your file ready in PDF format. Know the dimensions you would like the final poster to be. It is not the CopiEUS employee's responsibility to know the requirements for your course. If you do not know, please ask your professor ahead of time what they prefer or recommend. The Note Taking Club is a catch-all term for the service provided by various Science departments, producing notes for each lecture of certain classes. NTCs are available for purchase through the governing department of the class. This page was last edited on 10 April 2019, at 21:55.